Norwegian-trained painter Olaf “Ole” Colberson immigrated to Black Earth, Wisconsin. At one point in his life, he was committed to the Wisconsin Hospital for the Insane. He was later released by petitions from his Norwegian community of devoted friends. They provided him a new home and began purchasing his artwork. His talent was later recognized by Isaak Dahle who commissioned Colberson to adorn one of Little Norway’s buildings with a series of murals. 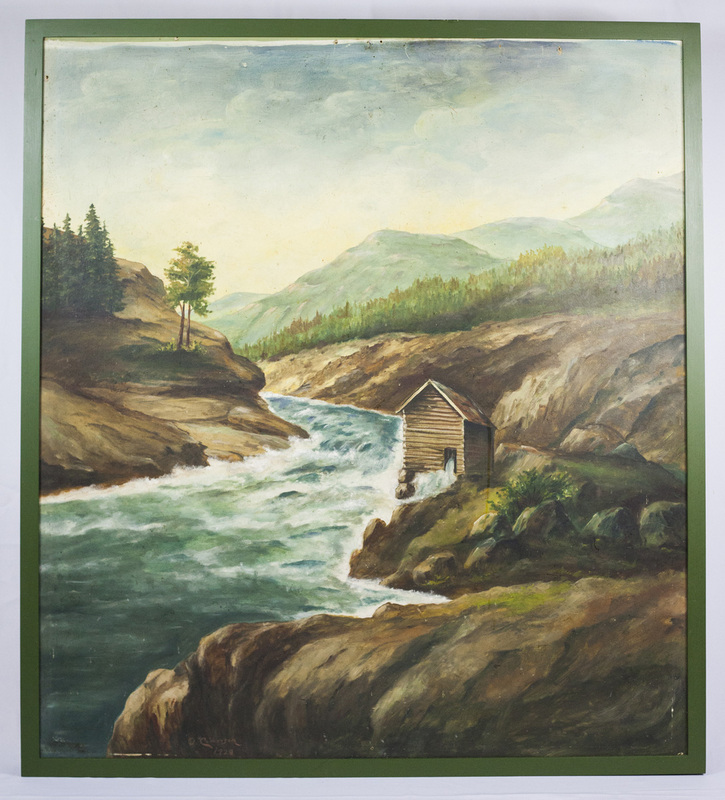 Each mural depicts a quiet rural scene in the Norway home region of Dahle’s grandfather.